Home » Livestock & animals » Livestock management » Management & reproduction » Producing out-of-season lamb - what are the price benchmarks? Producing out-of-season lamb - what are the price benchmarks? The local lamb production system is seasonal and reflects the cost of finishing the lambs, with a large supply of lambs finished on green feed during spring. The processing sector requires a consistent supply of lambs, allowing them to supply markets on a consistent basis through the year and to better utilise the capital invested in abattoir facilities. 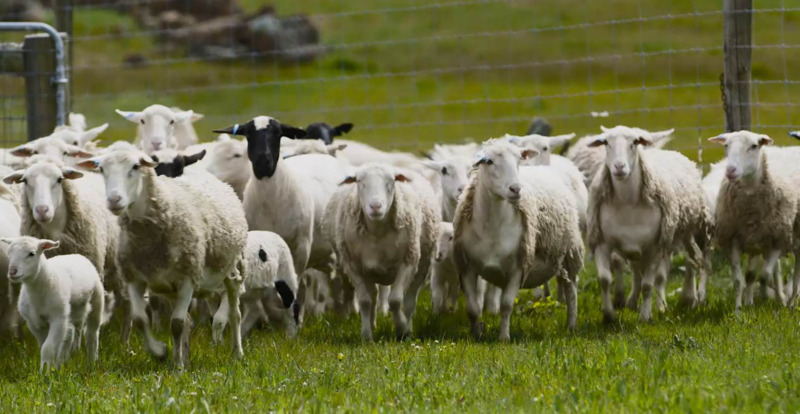 Historically, the higher prices offered for out-of-season lambs have not been sufficient to entice producers to change their production systems. This report examines the prices required to encourage producing out-of-season lambs. Please note: the following analysis was carried out using the MIDAS suite of whole farm optimisation models, using the Great Southern and Central Wheatbelt regional versions. It was assumed that all breeding, backgrounding and finishing was done on the same farm. The full report, including assumptions, is available in the side menu. The sucker system is the lowest cost system, while the carry-over system requires a higher price in order to have equal profitability. The later that lambs are turned off, the higher the price required to break even. The breakeven price for carry-over lamb production is comparable in both regions and is always higher than the breakeven price for the sucker system at $4.50/kilogram (kg) to $5.00/kg over the hooks. What are the breakeven prices when turning lambs off earlier? In the Great Southern and Central Wheatbelt, early and late lambing were evaluated for a self-replacing merino ewe flock with surplus ewes mated to a terminal sire, producing a first cross lamb. In the sucker system, 80% of lambs were turned off at weaning (four months) and the remainder after a further month of feeding (five months). In the carry-over lamb system, lambs were weaned early at three months and then kept for four, six or eight months backgrounding and finishing (Table 1). The breakeven price for carry-over lambs was calculated to provide the same profit as the base case sucker system (Figure 1). The price increase required to make equal profit from turning off lambs later varies from $0.15-$0.51/kg over the hook per month of delay. This is greater than the actual premium paid over the last five years, of $0.16 per month delay. How do the breakeven prices compare with historical prices? Historical prices (as shown by the dotted line in the graph) are lower than all breakeven prices for carry-over lambs (as shown by the solid lines in the graph). The fact that the premiums offered by processors have been lower than the breakeven prices over the past five years likely underpins the poor uptake of the management strategy by farmers. Is there an incentive for producers to alter their time of lambing? Regardless of the management strategy of the producer the issue remains that the price premium offered by the processors has not matched the costs in turning off lambs later. Time of lambing may appear to be related to the production of lambs out of season, but this is not the case. The spring flush can either be used to background lambs reducing feed costs before finishing, or the flush can be used for the ewes during late pregnancy/early lactation. However, producers choosing to sell lambs at weaning do not background lambs, therefore the best use for the spring flush is to provide for ewes at late pregnancy/early lactation. In this case, these producers would benefit from later lambing. What effect will a carry-over system have on the current lamb supply? The carry-over system converts a proportion of the WA flock from producing sucker lambs in spring to producing carry-over lambs in autumn and winter. The total number of lambs produced would diminish only marginally and 90% of lambs not sold as suckers would be sold as carry-over lambs. As carry-over lambs have heavier carcass weights than sucker lambs the total weight of lamb produced may increase. The sucker system is the lowest cost system while the carry-over system requires a higher price in order to have equal profitability. The price increase required to make equal profit from turning off lambs one month later is greater than the five year average increase in price per month. The price increase required may be higher than calculated because of the production and market risks associated with carrying lambs longer. A strong forward pricing mechanism may help manage the risk of turning lamb off later.